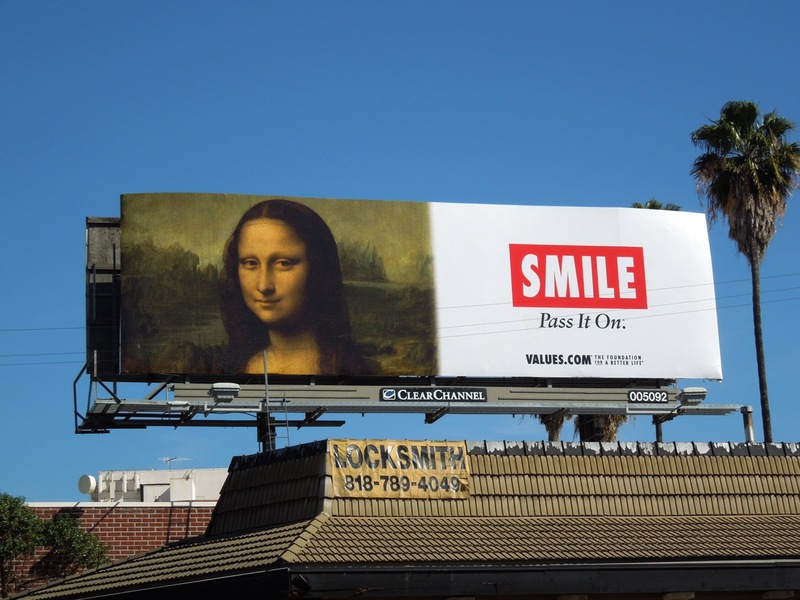 Here's a witty and clever billboard which is sure to bring a smile to your face. 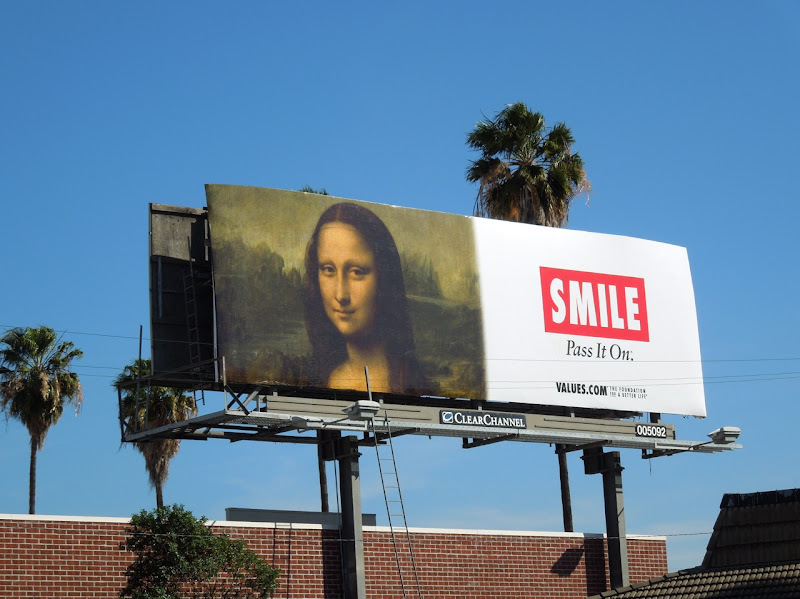 You have to appreciate the sentiment behind this 'Smile' billboard from The Foundation for a Better Life, whose endearing message transcends any religious beliefs and just encourages people to treat each other in a nicer way. 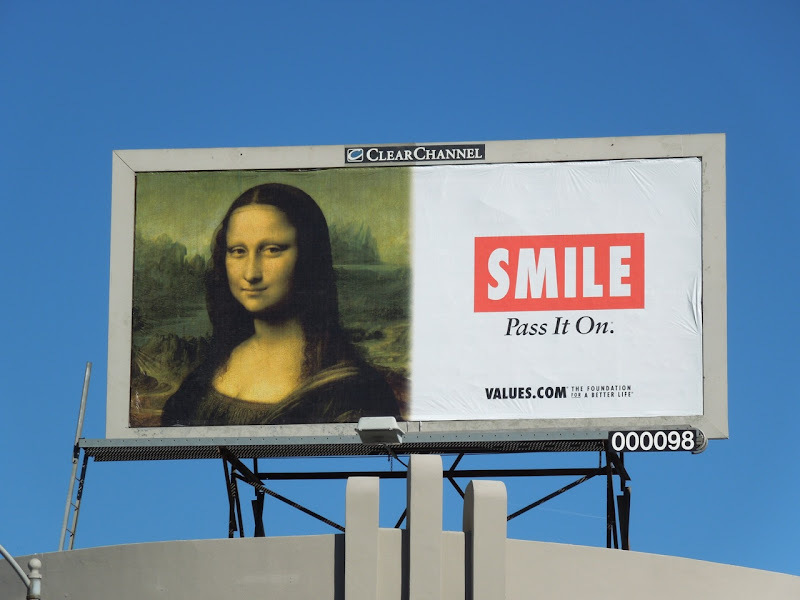 Wouldn't you rather be greeted with a smile instead of a frown or scowl, Daily Billboard certainly would. 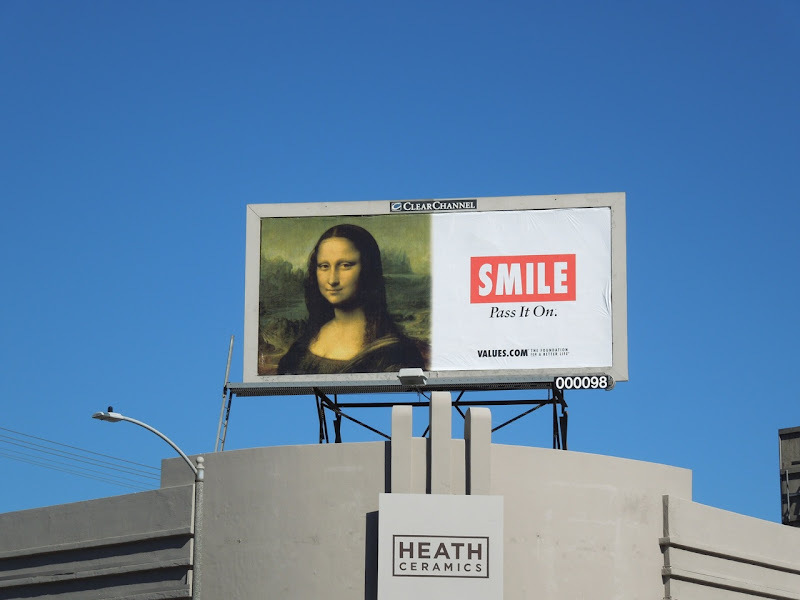 The smaller billboard creative was snapped along Beverly Boulevard at Sierra Bonita Avenue on January 26, whilst the larger landscape version was photographed along Ventura Boulevard in Sherman Oaks on February 23, 2012. For another clever billboard featuring the enigmatic Mona Lisa, check out this AIDS Healthcare No questions asked billboard ad. In the meantime, keep smiling.